One political purpose the indictment by Special Counsel Robert Mueller of Roger Stone, long-time friend of President Donald Trump and one-time adviser to his campaign, serves is to insinuate the Trump campaign had inside knowledge of the DNC and John Podesta hacks, which Mueller and U.S. intelligence agencies allege was perpetrated by Russian intelligence. But if the indictment of Roger Stone is to be believed, nobody in the Trump campaign knew about the DNC and Podesta hackings in advance, and members of the Trump team appear to have found out about it when everybody else did when it was reported in the media. The thing is, the entire world knew that on June 11, 2016 when Julian Assange told ITV that Wikileaks had emails related to Hillary Clinton: “We have upcoming leaks in relation to Hillary Clinton … We have emails pending publication, that is correct.” This was an apparent reference to the John Podesta emails that would publish later that year. Then, on June 14, 2016, the Washington Post had published its story on the DNC hack by Russia. So, “by in or around June and July 2016,” Wikileaks having emails damaging to the Hillary Clinton campaign was public knowledge and leading headlines everywhere. It naturally would have been interesting to the Trump campaign for obvious reasons. Clinton was their opponent, and so any news outlet potentially publishing damaging material about her would be of interest. So, the accusation appears to be that after it became public that Stone, or Jerome Corsi, who appears as “Person 1” in the Stone indictment, or thousands of other journalists, were trying to find out about what the emails were going to be. That is not at all surprising. In a separate indictment of Russian intelligence officers for the hack, Mueller lays out the timeline for when the hacks took place. 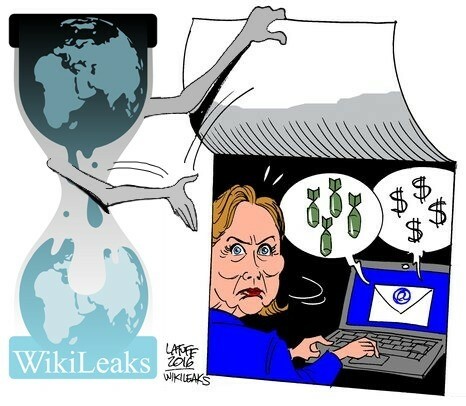 The Podesta emails were hacked in March 2016, and the DNC emails were hacked in May and June 2016 and then delivered to Wikileaks in July 2016. So, by the time the Trump campaign says, “What else does Wikileaks have?” is after Wikileaks already dumped the DNC emails. And even then, Stone had no real credible inside information. As of August, per Mueller’s filing, Stone was hearing that the next release might be Clinton Foundation documents. That never happened. We know now that in Oct. 2016 the release was actually Clinton campaign chairman John Podesta’s emails but at least in Mueller’s filing, and although some of the emails reference the Clinton Foundation, he does not appear to have had a good read on what the contents of the emails would be. Instead, he was communicating to Wikileaks via an intermediary trying to find out what might be released and when. And that’s not even what Stone was charged with. Instead, it was his account of these efforts to Congressional investigators months later. There is no crime during the 2016 election campaign that appears in the Stone indictment as a charge on him. They were process crimes that occurred later, per Mueller’s allegations. In the indictment of the Russian intelligence officers, no where did Mueller say the Trump campaign or any Americans had any part of the hack. On July 13, 2018, when Russian intelligence officers were accused of hacking the DNC and Podesta emails, although at times they were in contact with Americans, Deputy Attorney General Rod Rosenstein implored, “There is no allegation in this indictment that any American citizen committed a crime,” nor did the hacks alter any votes or the outcome of the election. In short, there is no collusion in the indictments that Mueller is handing out to date. In fact, the Mueller team has already ruled out Manafort having had anything to do with collusion with Russia on anything, let alone the Wikileaks publication. In a July 6, 2018 court filing, the special counsel stated of the Manafort trial, “The government does not intend to present at trial evidence or argument concerning collusion with the Russian government…” Later a filing to do with Manafort talking about polling data still never appeared to touch on the DNC or Podesta hacks, or Wikileaks. As far as Page is concerned, he has not been charged with anything. So, it seems unlikely at this stage that a massive conspiracy occurred between the Trump campaign and Russia, with the “full knowledge of Trump and senior members of his campaign team.” Apparently, they didn’t find out about it until it was in the headlines. As far as Stone’s indictment goes, he has been charged with discrepancies in testimony to the House Permanent Select Committee on Intelligence and talking to a witness. Either he forgot, misremembered or lied. But no where is he charged with hacking the DNC or Podesta or coordinating the Wikileaks release. He does appear to have been digging into it. But again, so were thousands of other journalists. Meaning, either Mueller’s holding back something, or the Trump campaign had nothing to do with the DNC and Podesta hacks and getting the emails onto Wikileaks — and Steele was simply wrong. When Mueller delivers his final report, we’ll find out.